1 of 9 - What is DropSend? DropSend is an application to send large files to other people without being restricted by email attachment sizes. With DropSend you upload a file online and the receiver gets an email with a download link. DropSend Direct is a nifty drag & drop uploader that can simplify your life a lot. Use it to send and upload multiple files in a quick and easy way, right from your desktop. You'll never have to worry about interrupted uploads and slow Internet connection. DropSend Direct for Mac combines all the cool features of the PC version with a sleek Mac interface and operating system integration. 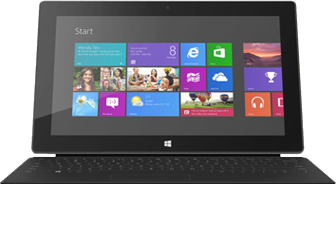 You will be able to manage your files more efficiently without worrying about a thing. Start sending large files within minutes. 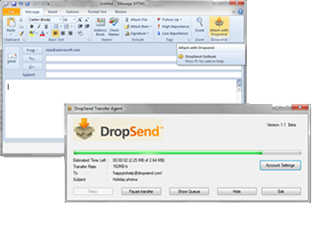 DropSend Direct for PC is very quick, easy to use, and reliable even if you have an unstable Internet connection. Your uploads will resume automatically when the connection is back. DropSend for Outlook is a plug-in that lets you attach large files to your Outlook emails using your DropSend account. With DropSend for Outlook your emails will be sent quickly, securely, and they'll never bounce back. Requires Windows XP / Vista / 7 / 8 / 8.1 / 10 or Mac OS X or higher. DropSend for Outlook requires Windows OS and Microsoft Outlook 2007-2016.